Dr Patel qualified from Kings College Hospital Medical School and qualified as a GP in 1983. He joined the practice in 1986 and is now a senior partner. He has a specialist interest in Dermatology and performs minor surgery including joint injections. He has worked in the Accident and Emergency Department at Kings College Hospital which included seeing patients and teaching medical students and junior staff. Away from the surgery his interests include cricket, golf and going to the gym. Dr Bartholomew studied pre-clinical medicine at Oxford University before gaining her medical degree from Imperial College London in 2004. 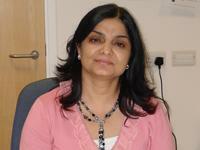 She initially trained in general hospital medicine before recognising the opportunities available in general practice. She passed the MRCGP examinations in 2012. Particular interests are HIV and international health and developing interests in women's health and diabetes. She gained a diploma from the faculty of sexual and reproductive health in 2008. Our receptionists and admin staff provide an important link for patients with the practice and are your initial contact point for general enquiries. They can provide basic information on services and results and direct you to the right person depending on your health issue or query. Receptionists make most of the patient appointments with the GPs and nurses. They also perform other important tasks such as issuing repeat prescriptions and dealing with prescription enquiries, dealing with financial claims, dealing with patient records and carrying out searches and practice audits. Clinical pharmacists work as part of the general practice team to resolve day-to-day medicine issues and consult with and treat patients directly. This includes providing extra help to manage long-term conditions, advice for those on multiple medications and better access to health checks. The role is pivotal to improving the quality of care and ensuring patient safety. Having clinical pharmacists in GP practices means GPs can focus their skills where they are most needed, for example on diagnosing and treating patients with complex conditions. This helps GPs manage the demands on their time.